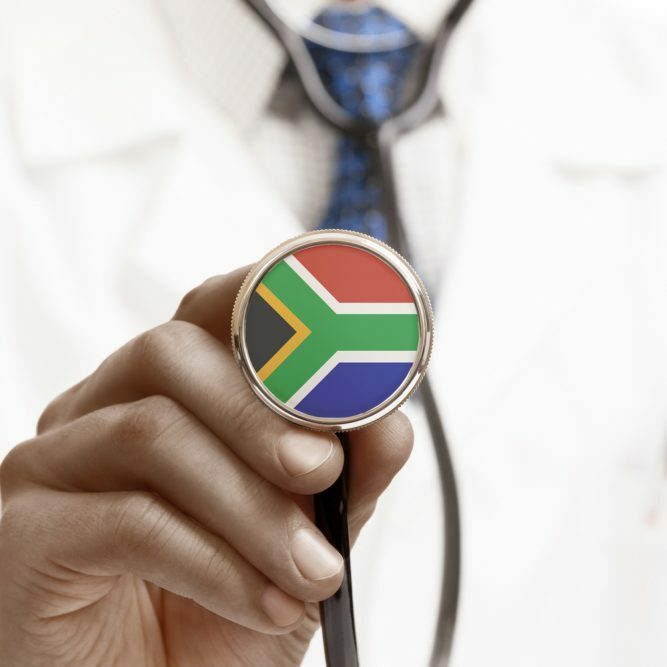 InsuranceFundi | Government is coming for your medical aid! The draft Medical Schemes Amendment Bill 2018 was published on the 21st of June 2018. Government believes that it’s going to make things cheaper. But is that true? 10 changes are on the cards and open for public comment. In this article, we will concentrate on two important ones. Keep in mind the fact that these changes are happening in conjunction with the rollout of National Health Insurance (NHI). What exactly is a co-payment? A co-payment is an upfront amount which is paid in by the member when undergoing a specific procedure. Say for instance you plan on having some dental surgery done in a day clinic. Your medical aid might impose a R5,000 co-payment. You then pay the day clinic the R5,000 from your own pocket and your medical scheme covers the balance of the bill. Government proposes doing away with them completely. Apparently, R29 billion was spent on co-payments last year alone. Government foresees that co-payments will increase in size and extent going forward. They expect that your medical scheme will pay less and less while expecting you to pay more and more in the future. The minister of health further points to the fact that reserves are sitting at R60 billion. This equates to 33% of all medical schemes income being held in reserve. If you didn’t know, medical schemes are required to keep 25% of their income in a reserve fund for solvency purposes. According to the Minister, this growing reserve, along with above-inflation increases in monthly contributions means that the schemes are fast becoming profit-making entities. This raises the question of: “So how does one best maintain your reserves at the required 25%?” For argument’s sake, let’s say a medical scheme budgets for the following year based on this year’s expenses. They consider their current reserves (exceeding the 25%) and make up the shortfall with projected contribution income from existing members. But then next year rolls around and you have a less than expected claims experience? Or you suddenly have a bunch of members leave your scheme causing the lower claims? Suddenly you’re sitting with a surplus in reserves. However, it can so easily go the other way. You gain a ton of members for which you haven’t got sufficient reserves, or you have a whack of unexpected claims. Not so easy to forecast as it might seem. Consider also that it was the government which introduced the 25% solvency ratio in the first place. Sure the medical schemes will pick up the tab initially. Yes, they’ll dip into those additional reserves, but at some point, your medical scheme will pass the cost onto you. Surely if the brokers were doing their jobs properly, memberships would be increasing? Where are the growing memberships supposed to come from? And how can we expect them to grow in future with NHI about to be implemented? It takes a lot of time to explain all the options to a potential client. Medical schemes often have 20 or more different plans each with their own pros and cons. Now imagine comparing plans amongst 2 or 3 medical schemes? Commissions are so low that it could take 6 months’ worth of monthly commissions just to cover the cost of driving out to see you and the time spent explaining your options. That’s working on the highest commission possible which is R90 a month. Those who most need the advice – the poorest on the cheapest plans – are the very ones not getting the advice because it’s not worth the time and effort to see them. Getting rid of brokers completely. Have you ever tried sorting out a query with your medical scheme? It’s like banging your head against a brick wall. You can spend hours of your time on the phone sorting issues out and often you simply give up because you’re not familiar with the ins and outs of your plan. We had a client wanting to add her daughter onto her plan. The medical scheme came back with an offer which included a 12-month waiting period for a health issue. They applied the waiting period because the daughter hadn’t been a member of any scheme in the past. Our client then sent us a membership certificate showing that the daughter was currently on her dad’s scheme. Once again, the offer came back with the same waiting period. We queried it once more only to be told that the daughter had less than 24 months continuous membership on the dad’s scheme and thus the same waiting period would apply. Once more I phoned back and queried it. This time I mentioned the fact that the daughter had previously been on the mom’s scheme and that the daughter had been on the cover since birth. The medical scheme then agreed to remove the 12-month waiting period. The important point is that they didn’t volunteer to assist our client and provide her with solutions. We had to advise her. Could you imagine paying for a dependents membership and them not enjoying specific benefits for 12 months? In this case, how much money didn’t we save our client? Getting rid of the broker – who only earns a commission when he gets the scheme a client – means that more staff will be needed on a full-time basis to handle all the queries previously handled by brokers. Spare a thought for all the less well known medical schemes trying to attract clients. They’ll have to increase their advertising expenditure to find new members. Then their telemarketing staff will have to sweat bullets explaining the ins and outs of each plan offered. They’ll go out of business as members gravitate to the larger, better known medical schemes. Could this be part of the plan to slowly shut down the medical schemes industry? Medical schemes are open to abuse from both doctors and their members. If expenses start getting out of hand, then the individual member needs to feel some of the pain. Why should all of us pay? Think of a co-payment as a car excess – if there wasn’t any excess, you’d take your car to the panel beater for every little scratch. The Medical Schemes Amendment Bill wishes to do away with co-payments which is going to result in higher costs and yes, paying commissions is unacceptable if you don’t have a broker or one who does nothing for you. The biggest problem with not having brokers is that the smaller medical schemes could collapse creating a monopoly where one or two bigger schemes remain and that we don’t want to happen. The big question is, does government want that to happen?